GQ Features Director Jonathan Heaf gives his thoughts on the Teeth Whitening Kit. 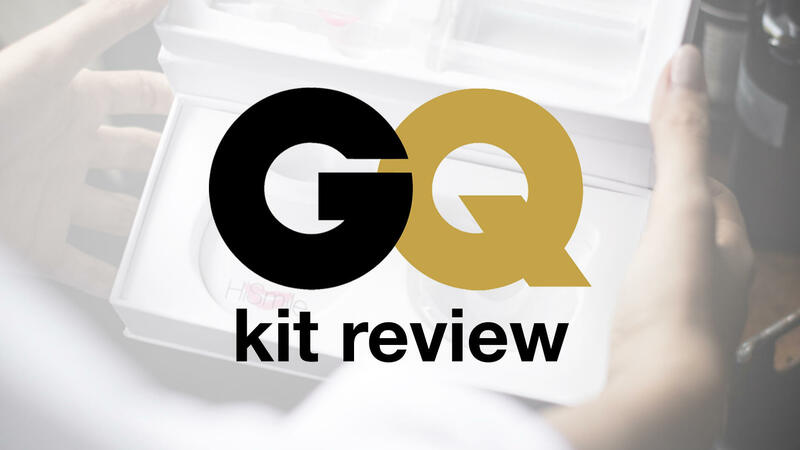 Recently, GQ Features Director Jonathan Heaf gave his thoughts on the Teeth Whitening Kit. Jonathan's experience with HiSmile had been entirely through the lens of Conor McGregor and Kylie Jenner, so we wanted him to get hands-on with the Kit. He told us about his history using teeth whitening treatments, and how past experiences had left him with sensitive, sore teeth. "It was very painful and very boring. I remember afterwards my teeth felt sensitive and, oddly, thin, as if they had been washed in acid." With HiSmile, Jonathan's experience turned out to be far more positive than his past run-ins with the dentist. Despite already having nice white teeth, we managed to gradually whiten his teeth, with zero sensitivity and zero discomfort. "Now there's something to grin about." We’re peeling back the curtain and taking a look at the day-to-day of each department at HiSmile HQ. March brought us some of our favourite comments, posts and tweets to date. We’re highlighting the best of the best. Even footballing gods can make time to have their teeth whitened.